On arrival at Indore Airport/ Railway station, meet our tour representative who will be there to greet you and transfer to already booked hotel. Nestled at the center of Malwa Plateau, Indore is a place that takes visitors back to the Holkar Dynasty. The place is ideal among history lovers. Check in at the hotel and get ready to explore the real natural beauty of the place. 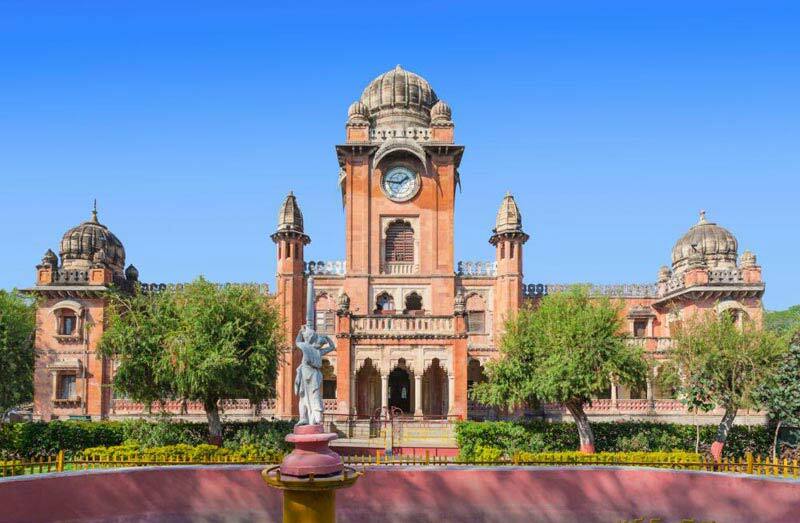 In our Indore sightseeing tour itinerary we will be visiting some of the major attractions of the places such as Kanch Mandir, Lal Bagh Palace, Central Museum, Khajrana and Gomatgiri. This will help you in witnessing a perfect mix of culture and art of varied ages and regions. After exploring these places we will return back to the hotel for a relaxing overnight stay. Kanch Mandir, well known as Temple of Glass, is a famous Jain temple in Indore which was built by Sir Seth Hukumchand Jain. It lies adjacent to Shish Mahal and has a beautiful interior made using glassall over. Lal Bagh Palace is one of the grandest structures that belong to the Holkar Dynasty. It was once used as the resident of the Holkars. 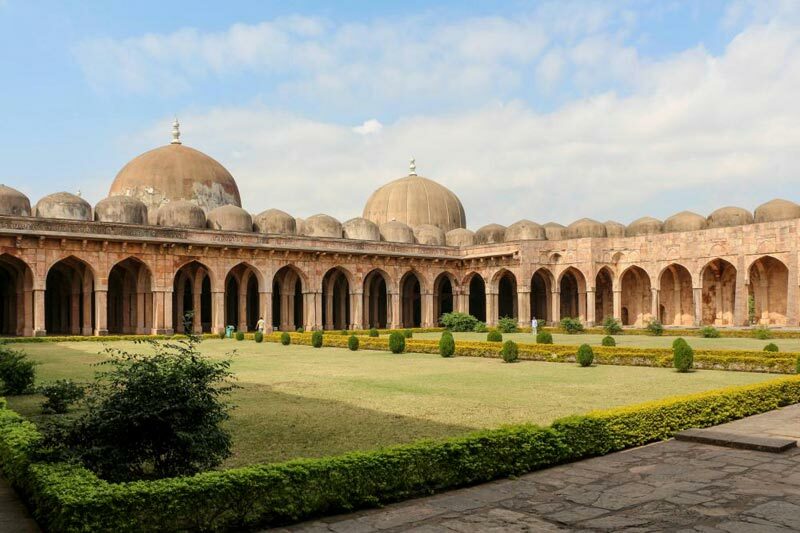 Exploring this palace will let you know many stories of this old dynasty and their achievements. Today we will leave Indore early in the morning for a day tour to Ujjain. On arrival in Ujjain, meet our tour guide who will take you to the place where breakfast will be ready for you. After enjoy delicious breakfast, we will proceed for the sightseeing tour of Ujjain accompanied by the travel guide. Ujjain is acknowledged for Kalidasa and its most popular composition, Meghdoot. It is also known as adobe for Lord Shiva where he has the power of the 12 Jyotirlingas. 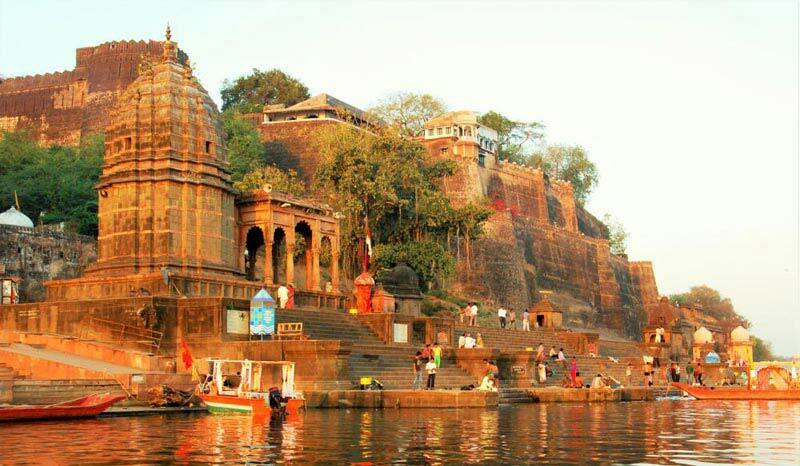 In our day tour itinerary, we will be covering the major tourist attractions of Ujjain such as the Mahakaleshwar Temple, Chintaman Ganesh, Bhartrihari Caves, Bade Ganeshji Ka Mandir, Pir Matsyendranath, Vedh Shala and Kaliadeh Palace. 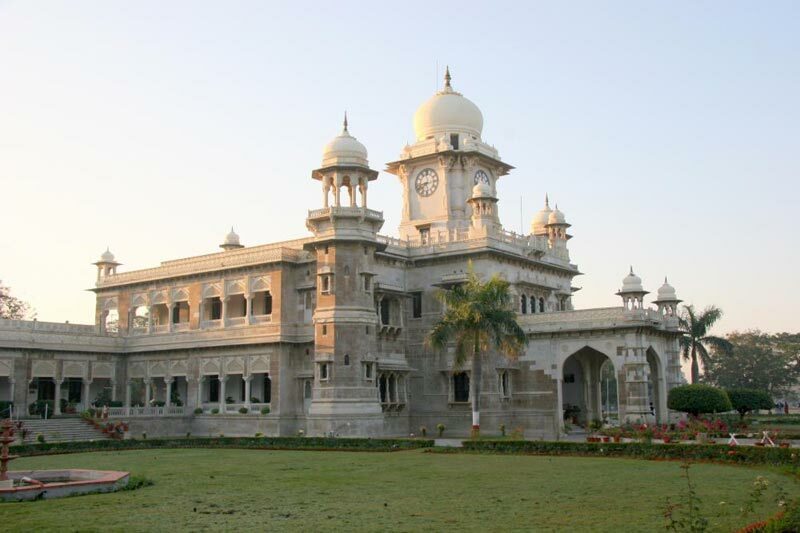 Thereafter, we will return back to our hotel in Indore for a comfortable overnight stay. Mahakaleshwar Temple is one of the 12 Jyotirlingas that are belived to be the holy adobes of Lord Shiva. 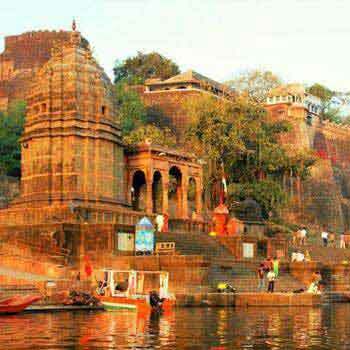 It is one of the popular Hindu temples and is located the Rudra Sagar lake side in Ujjain. We will leave early in the morning for a day tour to Omkareshwar that lies about 77 km away from Indore. On reaching Indore, enjoy hot served breakfast and thereafter proceed to pay a visit to the holy Omkareshwar. 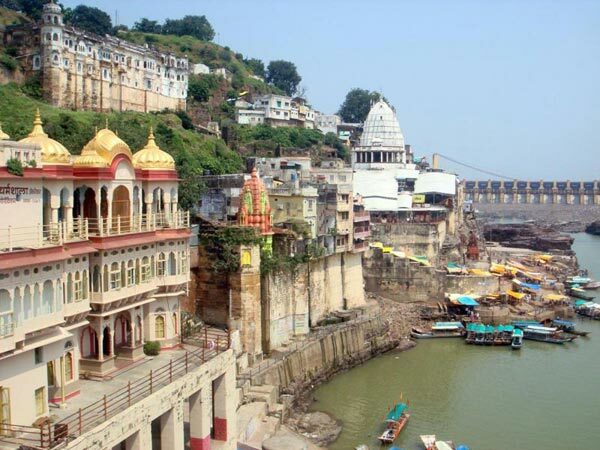 Omkareshwar is a famous Hindu temple devoted to Lord Shiva and is one of the 12 sacred Jyotirlinga shrines of Hindu religion. 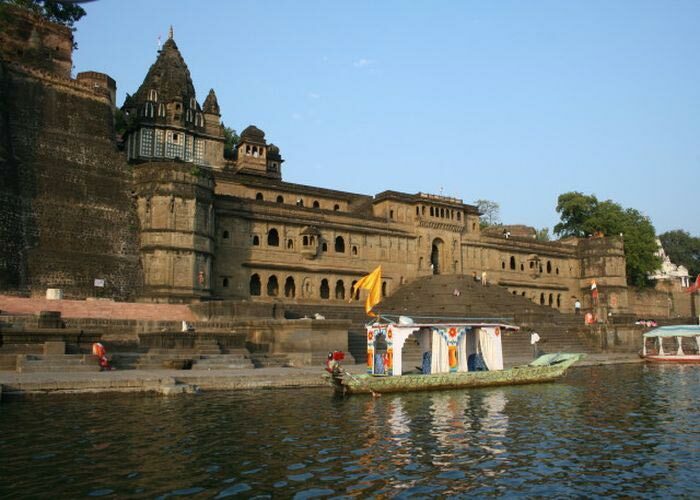 It lies on the island named Shivpuri or Mandhata that is shaped in the form of Hindu symbol, 'Om'. Thousands of Hindu pilgrims visit this island every year. In our day tour, we will be visiting places such as Shri Omkar Mandhata, Kajal Rani Cave, Saptamatrika Temple and Siddhanath Temple. After exploring these holy places, we will proceed to return back to our hotel in Indore for an overnight stay. On the last day of our tour after breakfast in the morning, you will be transferred to airport/ railway station to board the flight or train for onward destination.